Its report calls for conducting all federal, state and local elections on paper ballots by 2020. BOSTON — An expert panel of the National Academy of Sciences has called for fundamental reforms to ensure the integrity of the U.S. election system, which is handicapped by antiquated technology and under stress from foreign destabilization efforts. The cautiously worded report calls for conducting all federal, state and local elections on paper ballots by 2020. Its other top recommendation would require nationwide use of a specific form of routine post-election audit to ensure votes have been accurately counted. The panel did not offer a cost estimate for its recommended overhaul. 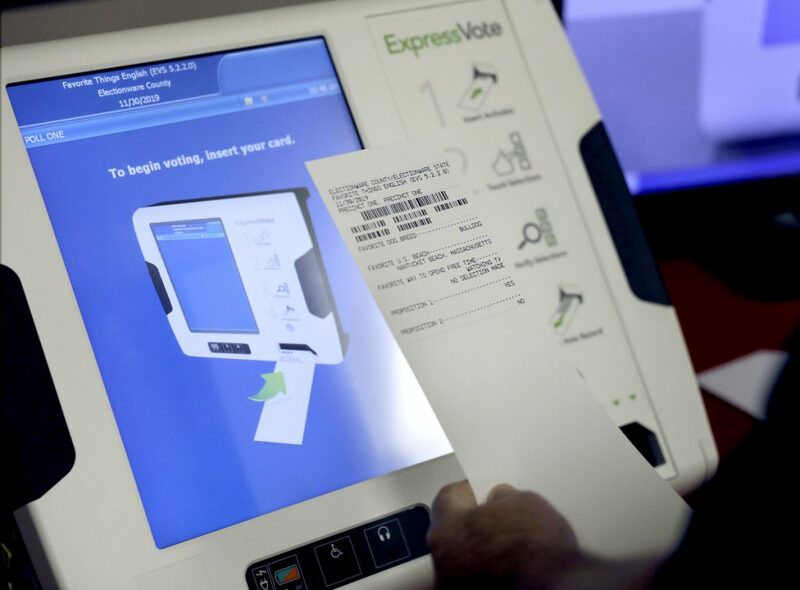 New York University’s Brennan Center has estimated that replacing aging voting machines over the next few years could cost well over $1 billion. 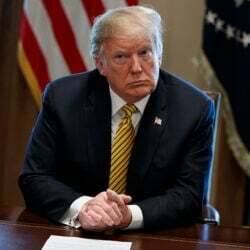 “The extraordinary threat from foreign actors has profound implications for the future of voting and obliges us to examine, re-examine seriously, both the conduct of elections in the United States and the role of the federal and state governments in securing our elections,” Lee Bollinger, president of Columbia University and co-chair of the panel, said in presenting the report Thursday. The 156-page report – “Securing the Vote: Protecting American Democracy” – bemoans a rickety system compromised by insecure voting equipment and software whose vulnerabilities were exposed more than a decade ago and which are too often managed by officials with little training in cybersecurity. The principal recommendations of the study, commissioned in 2016 as foreign intrusion in U.S. elections became evident, reflect a consensus among election security experts that has met resistance from a number of states and Republican leaders in Congress but are hallmarks of legislation proposed by Ron Wyden of Oregon and four other Democratic senators in June. Roughly one in five U.S. voters cast ballots on such electronic machines in 2016. While some states have scrambled to replace them ahead of November’s midterm elections, 13 continue to rely fully or partially on them. The report’s release comes barely a week after a major piece of election security legislation was blocked in the Senate Rules Committee by Republican leaders. As originally written , the bipartisan Secure Elections Act would have satisfied the paper ballot and risk-limiting audit requirements. But those aspects have been watered down. One of the report’s authors, Princeton computer scientist Andrew Appel, credits the states for efforts to replace digital voting machines. Early this year, Congress appropriated $380 million to help states bolster election security. But no requirements were attached on how that money should be spent. The report also recommends requiring states to report irregularities in voter-registration systems to the federal government. Illinois’ voter database suffered the most serious known breach in the U.S. elections landscape in 2016; the U.S. special counsel reported that half a million records were downloaded by Russian agents. Experts would also require states and local officials to inform the federal Election Assistance Commission – and the public – of system failures and other voting difficulties. States are often reluctant to discuss such problems.